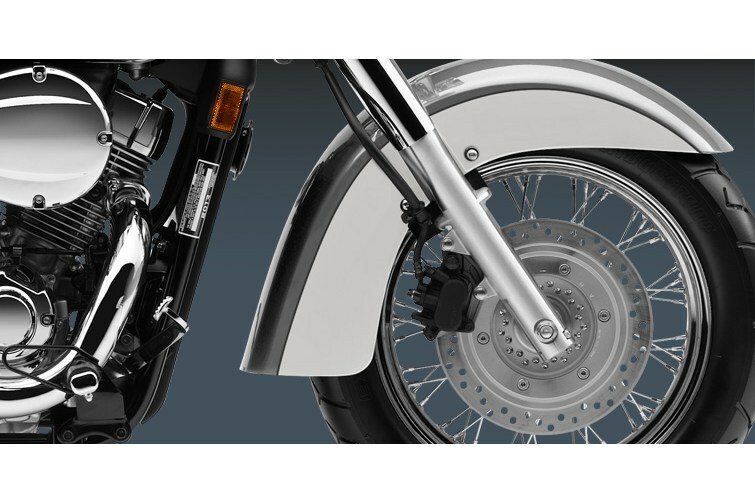 Honda's line of Shadows are some of the most popular cruisers on the road. And one look at the Shadow Aero will tell you why. 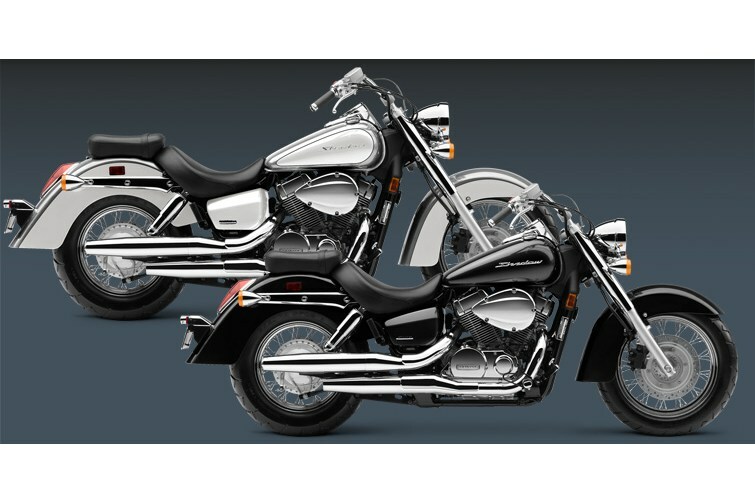 Classic, retro style, like the spoked wheels, full fenders, and long, chromed mufflers. 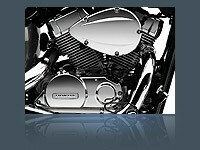 Thoroughly modern performance courtesy of the 745cc V-twin engine, specially tuned for low-revving torque. And maintenance-reducing features like shaft final drive. Best of all, the Aero is a huge bargain, giving you a big-bike ride without the big-bike price. And it's a bargain when it comes time to fill up, too. If you're ready to turn some heads in a big way, and appreciate a bike that's never going to go out of style, the Aero is the machine for you. 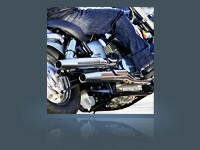 There's nothing like a V-twin when it comes to cruisin'. And the Shadow Aero gets one of our best: a 745cc powerplant that provides plenty of torque and a wide, user-friendly powerband. 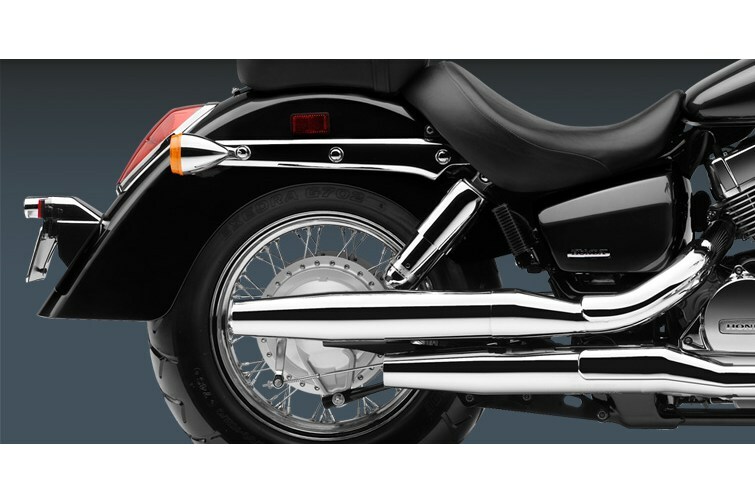 The Aero features a custom two-into-two exhaust system, flowing into bullet-style mufflers. 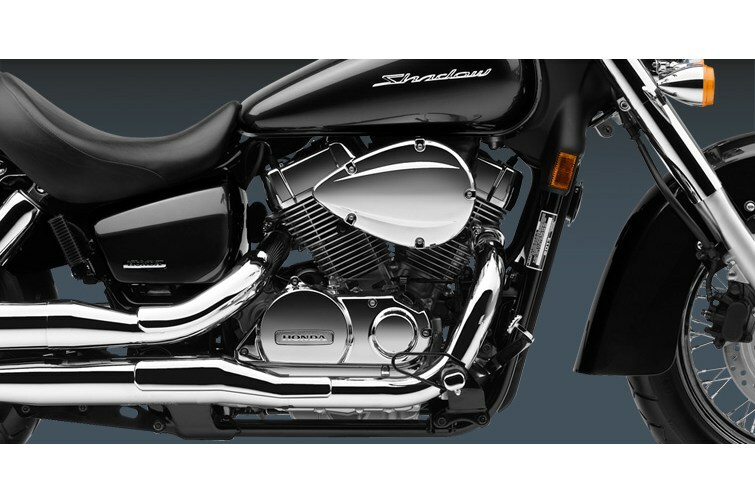 The result is a soul-stirring sound that's classic V-twin cruiser, making the Aero a bike that sounds as good as it looks. Cruisers should be about getting out and having fun, not about maintenance headaches. That's why the Aero's shaft final drive makes so much sense. Clean, virtually maintenance-free and efficient, it's the smart choice.